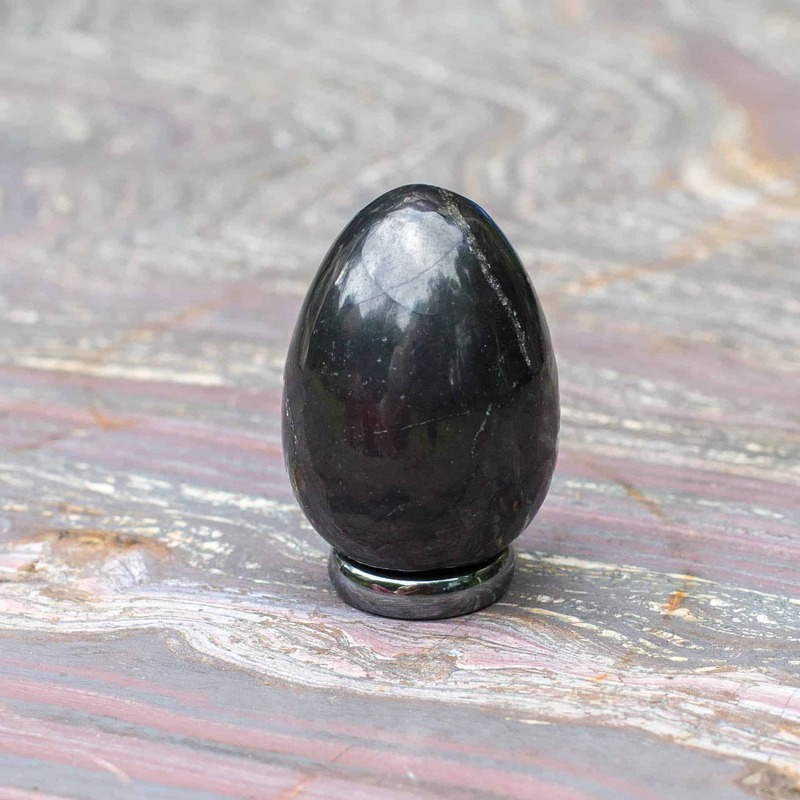 Shungite Egg, you may not receive the photographed egg, but one of equal quality, there may be slight size and weight variations as all stones are unique. Shungite is a mineral described formally as natural Carbon Black. Shungite is an amorphous variety of graphite of intense black color, which outwardly resembles anthracite. 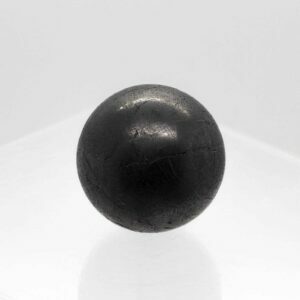 Shungite is unique in its composition, structure and properties. It is a natural composite with a homogeneous distribution of crystalline silicate particles in a carbon matrix. Fullerenes have been discovered in this rock. 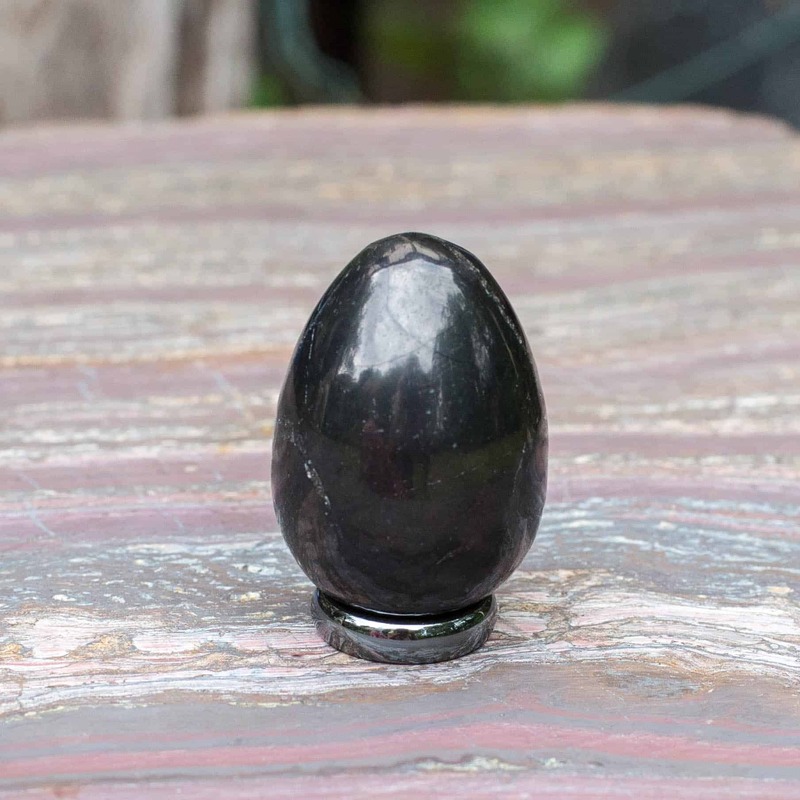 Shungite exhibits unique shielding effect for harmful electromagnetic radiation of any origin. 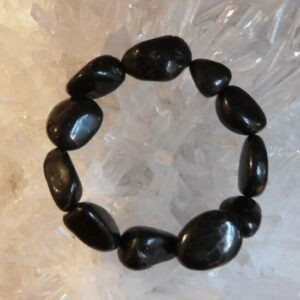 Shungite is a mineral, which has no analogues of range and diversity of its healing properties. Generally Shungite heals, saves, cleans, improves, protects, neutralizes and regenerates. At the Russian resort Marsial waters, Shungite has been used as a currative, reported as having antibacterial properties, and the ability to clean water of organic compounds (including pesticides), metals, bacteria and harmful microorganisms.